Leidos Company Information Is this your company? Add your own content to this page. We currently have 961 open jobs at Leidos. 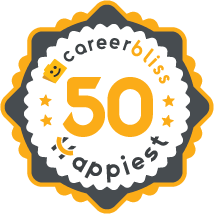 We've calculated that the average salary at Leidos is $100K based on 52 user-submitted salaries A total of 64 Leidos employees gave Leidos an average happiness rating of 4.1 out of 5.0. 3 Software Engineers from Leidos submitted salaries. 4.9 I am a millennial who has been working here for only a few months, but the whole experience has been great. The best part of this place is definitely the people - I get to work with a really amazing team full of smart, fun, responsive individuals who are always answering my questions and looking for ways to improve the business, the employee's experience, and our positive impact in both local and global communities. There's a lot of transparency from leadership, and where there could be improvements, they are working to close the gap. There are a lot of opportunities here to grow and make a difference in the company. 3.5 The workplace environment is quite nice and we have good modern amenities. The company as a whole has the tendency to fire people in order to save money. While this is sometimes necessary in many industries it seems that an inordinate number of people are leaving/being told to leave and there isn't any more work coming in. Not many proposals are being won and hours can and will be taken from employees to give full coverage to more popular employees. 2 Government rules and will screw you over and companies will only know so much since the managers are hired to be PASSIVE and kept out of situation and facts. Some government managers abuse their power and contractors. Some contractor coworkers are bullies and little is done to correct them. Stay away from Dunn Loring secure environments or working for the government agency well known in Mclean/Langley. The government leadership is terrible and the contractor manager/leaders are spineless.